The Dow Jones was down a devilish 666 points on Friday. 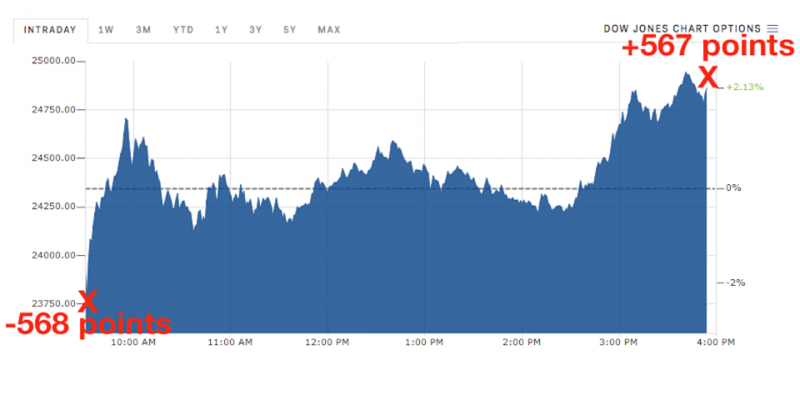 Then it descended another 1,175 points on Monday – the largest nominal drop in history. A lot of people got really scared. It was looking down 500+ points to start Tuesday morning and significant “crash” fear was in the air across the globe. However, dip-buyers emerged. They put their orders in to add to their mutual funds. And their orders were filled by Wall Street, at the end of the day. They actually don’t get filled, or “priced”, until the end of the day. 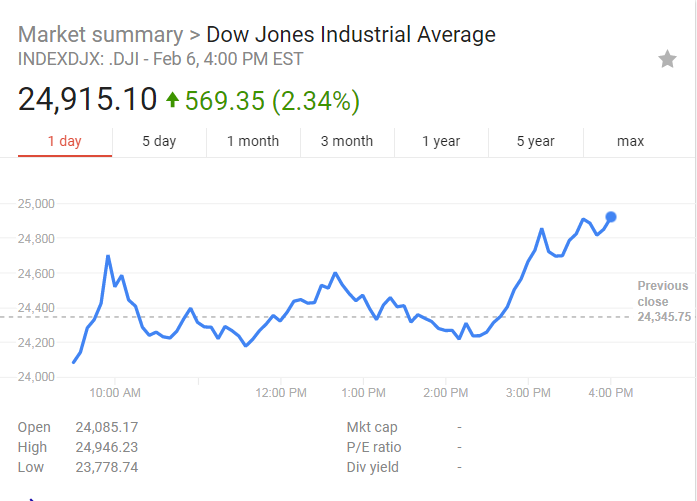 So they effectively bought at closer to 25,000 in the Dow – nearly 4% higher. That’s in addition to the significant percentage points they pay in fees, most of which are hidden, in the funds themselves. For more specific information on this broad-daylight scandal – read or listen to Unshakeable or MONEY- Master the Game both authored, at least in part, by Tony Robbins. But the larger issue I want to highlight is financial literacy. It’s more than just math with dollar signs. It’s a highly complex subject that I estimate 99% of people are ignorant of. Concepts like passive investing, the bond market, and genuine asset diversification are so far beyond the ken of the general – even ostensibly highly-educated – public for many, many complicated reasons. It’s not just that the stuff isn’t taught in school. It’s that psychologically humans are irresistibly drawn to the idea of easy, work-free retirement riches. And there is massive army of sophisticated and highly motivated “money changers” on Wall Street AND on your local main street who spend all their time and energy on exploiting these vulnerabilities. But not my kids and not my students. We are learning about money. Earning money. Talking about money all the time.